Ever wonder how many homes buyers looked at before they found “the one”? Or how people found their homes? 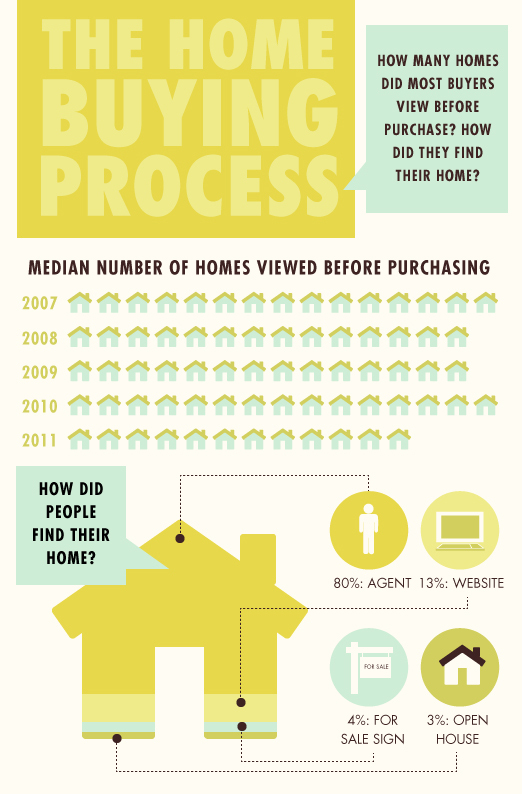 Here’s an infographic from the California Association of Realtors that breaks down some aspects of the home buying process in a fun, easy to visualize way.